Luka Stone is an Italian Rock drummer from Turin, Italy. In his early career he studied with Giorgio Gandino and Walter Calloni of PFM Band at the C.P.M. of Milan. In 2004, he went to New York to study at the Collective School of Music. He took additional drum shops lead by Greg Bissonette and Gavin Harrison. He even took some private lessons with Marco Minnemann. In 1999, Luka personally met Ray Luzier (Korn) and Mikkey Dee (Motorhead) who both gave him great encouragement to go on in his professional Rock drumming career. In 2004 while in New York, Luka recorded with songwriter Lenny Isis and also rock band Arrowood at Sterling Sound Studio with Ted Jensen, one of the world’s most in-demand mastering engineer. In Europe he has played several shows with the famous band BrokenGlass. In addition, Luka has had a great experience in playing with the famous guitar player Kee Marcello of the band Europe. 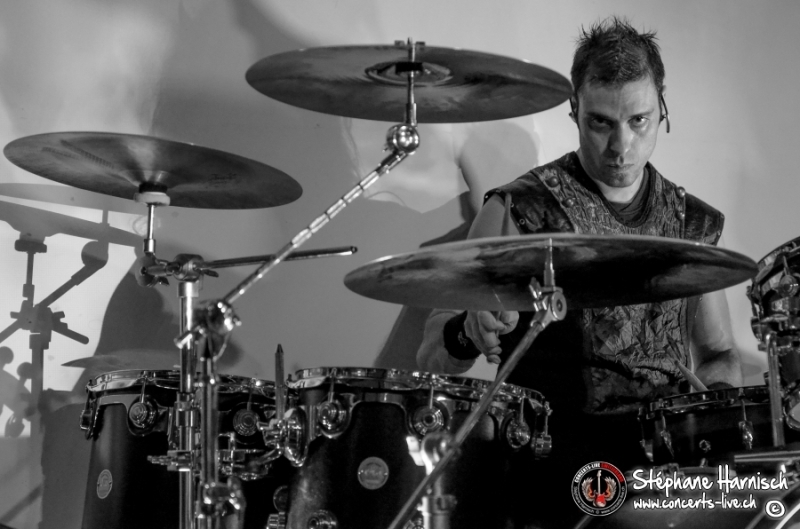 While not always being able to support himself by playing Rock music-his true passion-Luka has been exclusively a professional drummer throughout his life. He has played with famous Italian musicians from Raoul Casadei’s orchestra. After reaching a high level of theoretical and practical drum playing, Luka began to run his own drum clinics throughout Italy where he has been endorsing snares for DrumShop USA, an elite American brand from California.